We are offering Artificial Bamboo to our clients. 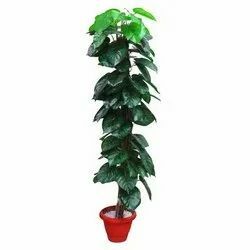 We are offering a wide range of Tall Artificial Plant to our patrons. These products are made from high quality components at vendors end. We are a most trusted name among the topmost companies in this business, involved in offering Mini Plastic Plant. Inject the exotic aura to your home interior with this red Anthurium plant. Made from high quality material this décor piece looks like a real plant without the worry of care. The colour popping out of the green leaves makes it look beautiful. Place it into the pot and it will last for many seasons. Carnelian wooden base trees are approximately 9 inchs in height with 300 chips.